The Gear puller from will work or any other mfg for that matter as long as it works on the 1mm-5mm motor shafts - Super Easy to Use!!! Instead of wasting one hour trying to fix your expensive motors, now you can use the gear puller and get the job done in minutes! 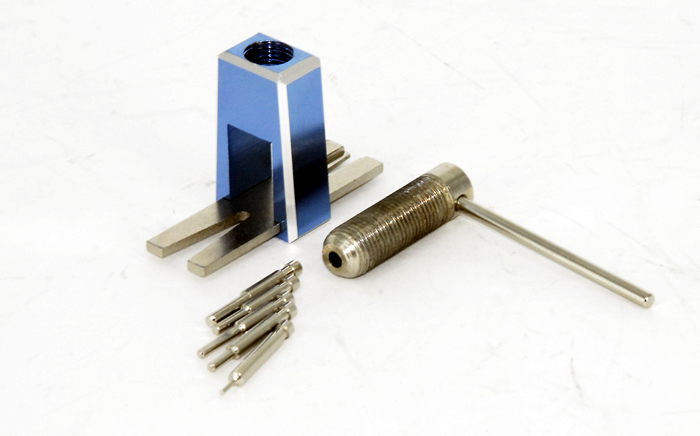 Made from the latest CNC Machine using strong aluminum materials. 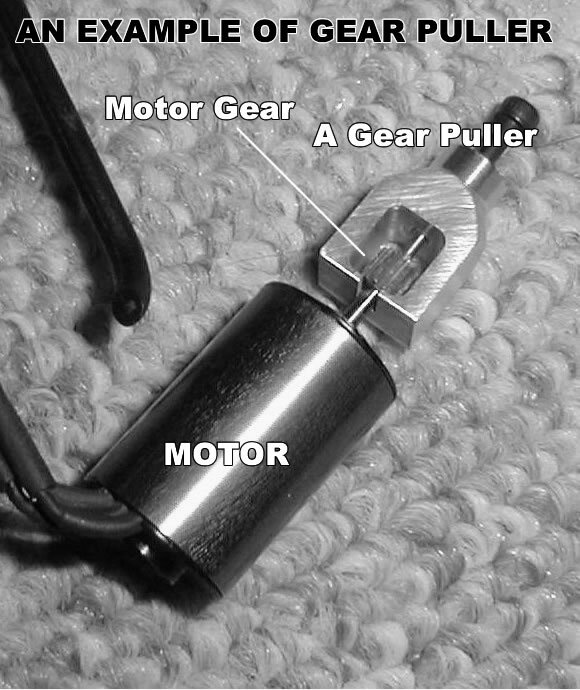 Choose the proper thimble and install into the Rotary Rod of the Gear Puller, and lock the screw (note: don?t lock the thimble with flat step too tightly). Spin the Rotary Rod into the Holder. Press the motor shaft in the Removable Plate, and move the shaft to vertically align the Thimble.